You can place yourself on the waiting list by clicking on the "Put me on the Waiting List" button above. There is no obligation to buy. You will receive an email if this item becomes available in 2019. 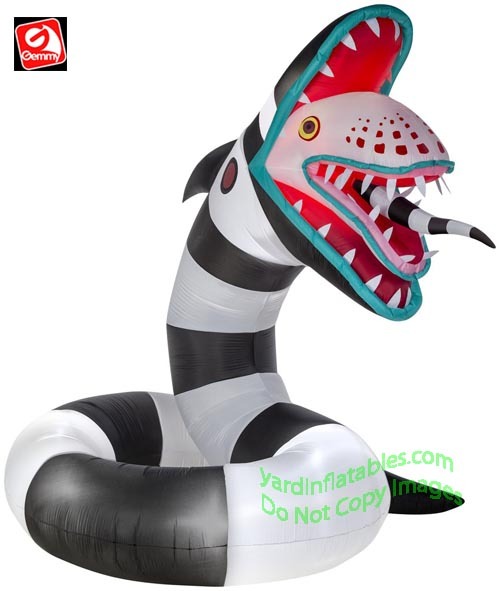 Animated GIANT Sand Worm From Beetlejuice! The Snakes Tongue Rotates Left & Right! 10' Tall x 7 1/2' Wide! This Gemmy Air Blown Inflatable Halloween Decoration comes with a built in heavy duty fan, internal lights to create a glowing night-time display, yard stakes, and tethers.